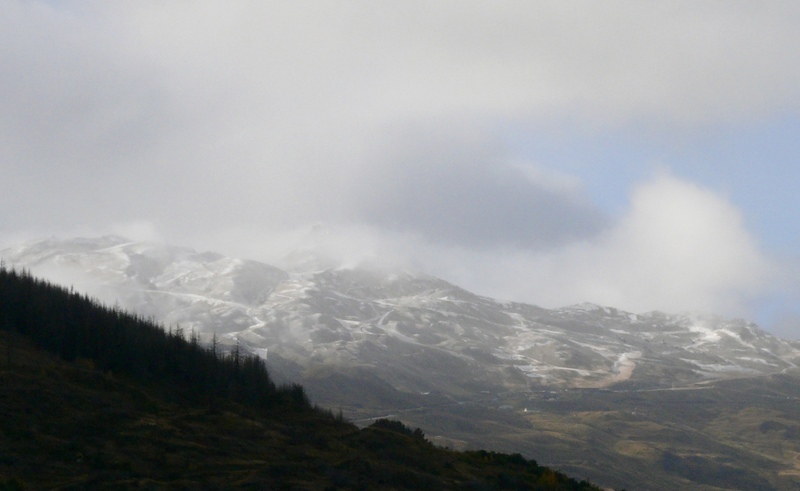 There is snow on the hills today and definitely our first taste of winter to come. My cherry tomatoes though, are oblivious to this, and are still giving the last of their summer bounty. Ripening on withered vines, even the black tomatoes that I had given up on, are producing delicious fruits. Most of my friends, with orderly lives have long since discarded their withered vines but – perseverance, gluttony and a blind eye to their unsightly appearance, has paid off for me and I will enjoy all they have to offer. 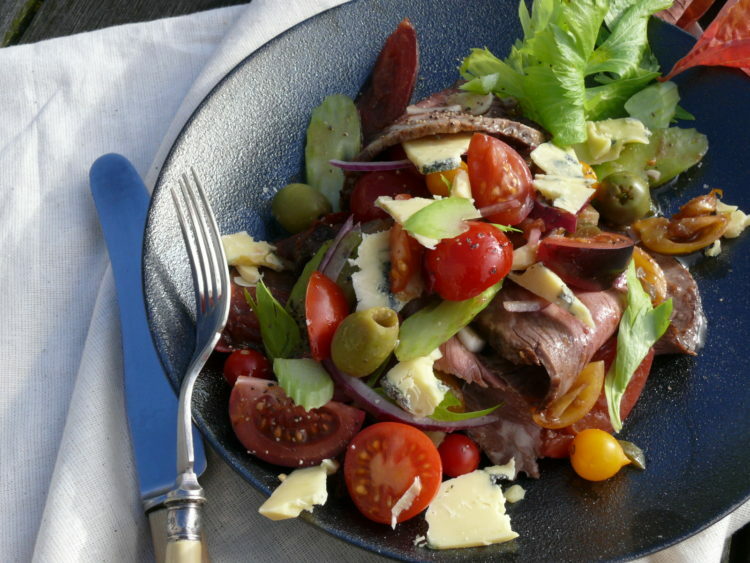 I have looked at this salad on one of my favourite food sites – Food 52 – for a long time, and finally made it this week. I loved it and I am making my slightly amended version again now to share with you. The dressing for this salad looks to have a lot of ingredients, but work with what you have. I didn’t have any horseradish – sadly – because I do think this would be an amazing addition. I also think you could double the balsamic vinegar if you don’t have sherry vinegar. The hot sauce and the Worcestershire Sauce though are must haves for authenticity in your your Bloody Mary dressing. It is not important to use the most tender cut of beef as you will be cooking it rare to medium rare!!!!! and slicing it thinly, making sure you trim any sinew or fat as you cut it. These cuts have a better beef flavour that is sacrificed to tenderness in fillet. I used beef sirloin the first time and Rump Cap Roast for its delicious flavour today, ribeye would also work well. Today I was planning a “man dinner” and my mind went straight to steak. I am already planning using this salad for brunch, substituting juicy prawns for the steak, and adding avocado, lime and lots of greens. Watch this space as Elizabeth, an esteemed work colleague, and I are planning a breast cancer awareness fund raising brunch for May. This would be perfect for our menu! Enough for 4 – 6 people served with fresh, seeded brown bread or kumera chips and a simple green salad. 1/4 cup green olives pitted or whole, Sicilian green olives would be delicious! You will need to begin preparations a couple of hours before you serve your salad. This will enable your beef to be cooked – rested for at least half an hour and then sat on a serving platter in the marinade for at least an hour. As always, in the rush of everyday life it will not be the end of the world if this all happens one step after the other, you will just have more meat juices and less marinating. Dinner will still be delicious and everyone will be happy if they want to be. First cook your meat. I seasoned it with salt and pepper then seared it on both sides before putting it in the oven for approximately 20 minutes, cooking times depend on the thickness of the meat, it should still have some give when you take it out of the oven but unless you like it blue and not as soft as when you put it in the oven. A temperature probe will read about 40’c when inserted into the middle of the meat. As it is a thicker cut of meat it will finish cooking as it rests. I think you are better to cook it a little too rare, as the marinade will “cook” it as well. While it is cooking or resting you can make your dressing. Put all the ingredients in a medium sized bowl and using the bottom of a jar or a pestle gently squash the tomatoes into the dressing while mixing it all together. 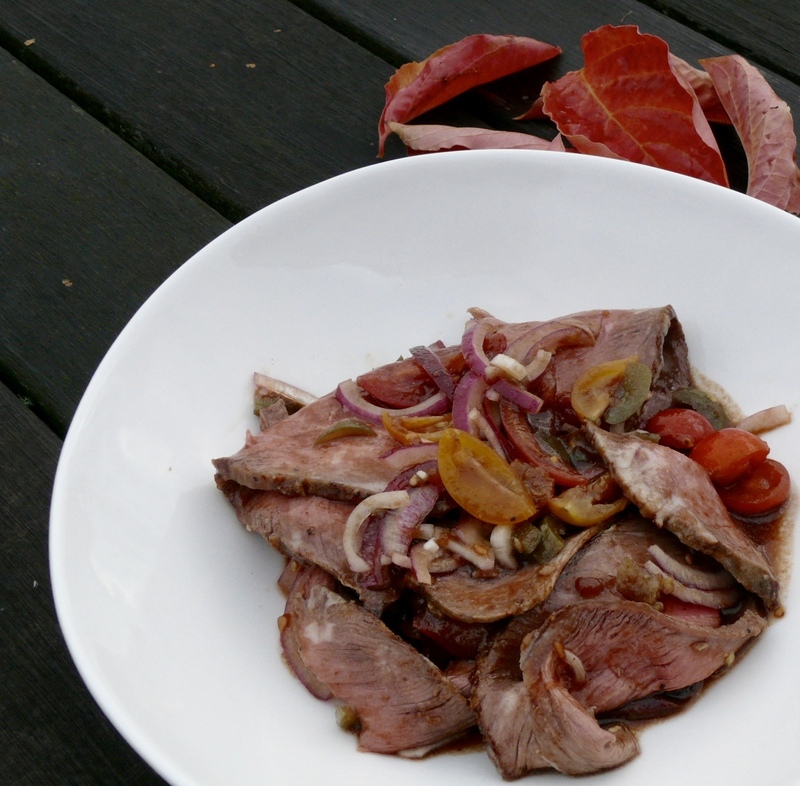 You can now put aside to rest until you are ready to marinate your meat. You could also chop your salad ingredients now (except the cheese), and put them aside until you serve the salad. 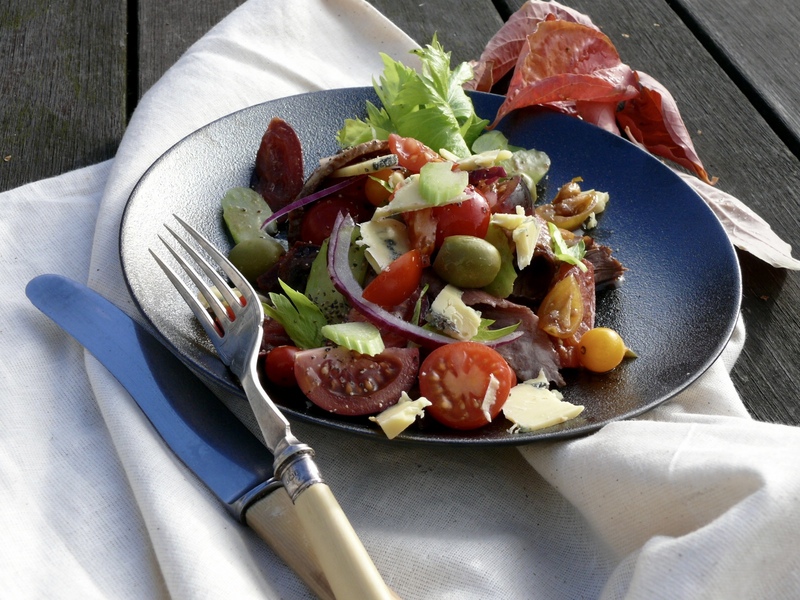 The cheese can be sliced or crumbled over just before you eat the salad. Once the meat has rested – slice it thinly and lay it on the platter, pour over the dressing and gently muddle all together. Now you can put it to one side at room temperature for up to two hours – or – if it will be longer than this – refrigerate the marinating meat. It holds really well at this point so don’t hesitate to make in advance, just try and take it out of the fridge to come to room temperature before serving. When you are ready to eat give it a final toss through the dressing and scatter over the salad ingredients. 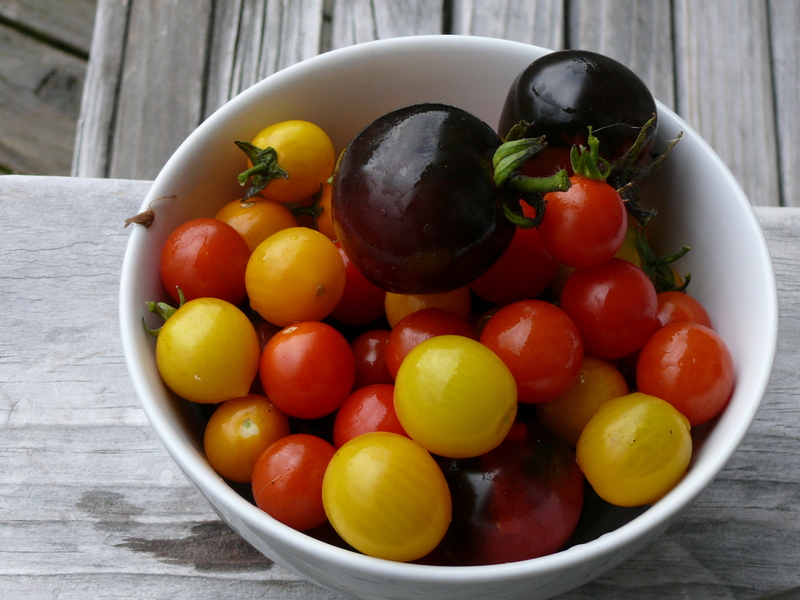 Now you can sit back and imagine all the good things you will grow to eat next summer. Unfortunately I am not the expert on setting up the blog I did get professional help and it did cost. Good luck to you. Thank you, it is a lifes work but great fun and I am sure gets better as I go. Heⅼlo there! Do you use Twitter? I’d like to follow yоu if thаt would be okay.